The growing momentum of local democratic initiatives seizing institutional power at a city level has great potential to address national and transnational political problems. This weekend an international gathering will take important first steps in linking the new experiments together around a shared agenda. This weekend the first meeting of “Fearless Cities” will take place, promoted by Barcelona en Comú. This is an international opportunity to encounter and debate the experiences of “new municipalism”, which have developed in recent years. 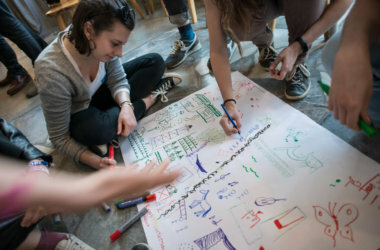 The initiative’s headline seems absolutely appropriate when cities themselves, and the free and cooperative forms of social life that take place there, are at the centre of various, concentric attacks: by national and European policies of austerity, budget cuts and privatisations; by restrictive migration and asylum policies; by financial speculative interest in dispossessing the commons; by fossil fuel based environmental policies; by those forms of “asymmetric warfare”, that aim to create terror, and by those forms of militarization, that attempt to reduce the spaces of freedom for all. Responding, in so many different voices, “we are not afraid” is perhaps the best way to begin building real alternatives at a local, European and global level. Firstly the rise of “citizens platforms” is also connected to the structural transformations that have struck contemporary cities in the epoch of capitalist financialization, and with the impact that austerity policies in urban areas has had on recent European crisis management. This is why the experience of Barcelona en Comù, leading to the election of Ada Colau, former spokeswoman of the movement for right to housing PAH, is so interesting: not only was it capable of eliciting powerful effects, both in political imagination and in reality, but it brought a new level of attention to the issue of alternative local governing in Europe. The force expressed by this experience lies primarily in its ability to measure up to what has become a major European city like Barcelona. The contemporary metropolis is the space of social production and reproduction par excellence; the room traversed by logistic corridors and invested by the setting up of extractive platforms; the place where, more than in any other, the current forms of exploitation are exerted; the ideal testing ground for the parasitic logic of financial capitalism: its permanent aggression, through the mechanisms of indebtedness and of securities and real estate speculations, to socially produced wealth [Brenner, 2004; Sassen, 2006; Barber, 2013]. But our cities are also spaces for resistance and the invention of new forms of life: free and tendentially egalitarian, places where new social conflicts, new forms of mutual co-operation, and independent cultural initiatives proliferate. Such dynamics are, under some respects, related to the social organization of post-Fordist production, as in the flexible accumulation model implemented in the four decades of neoliberal “counter-revolution”. This endows any contemporary metropolis with a role similar to that of the factory in the previous cycle: a permanent battlefield, the place of both exploitation and struggle, domain and emancipatory organization, a scene of unending tensions between forces measuring their social relationship of power [Harvey, 2012]. Such structural trends have been enhanced in the last eight years of authoritarian European crisis regime: both financialization of public debt and austerity policies, from the level of inter-governmental institutions to the single national States, have preferably targeted local authorities, heavily affecting the social life of urban communities. From the early 2000s, local governments started having the opportunity to access the “derivatives” market, while transfers of State resources were being concurrently reduced. This resulted in the exponential growth of indebtment of municipalities, provinces and regions, a debt with rates that were closely tied to the speculative tensions within global financial market-flows. Similarly, ruthless application of the internal Stability Pact rules to local authorities can no longer be justified with a simple shortage of resources, and should be seen as a structural consequence of European policies cutting public expenditure (considered as “unproductive”) in the field of public services and, more specifically, of cuts to welfare functions. All this is part of the same attack that brought incentives and obligations to the privatization of local public services managing companies, and to the sale – or rather to the sell-off – of “assets”, which were previously considered common goods (also in a historical sense, i.e. as long-gathered fruits of the accumulation and stratification of community resources), hitherto held by municipalities and regions. The scope of the national budget manoeuvres, that have been implementing the ECB’s diktats since 2011/12, does nothing but confirm these trends [Caccia, 2012]. Consider the measures that, throughout Europe with a variable geometry, have marked the pressure on local governments over the past few years. If we outline them one after the other we can see how their real goal was to systematically deny territorial self-government, and to reduce local autonomy to a dependent variable, a subordinate and purely executive function in the design of public-spending containment. What happened was the massive transfer, at every level, of increasing amounts of socially produced wealth (and its social redistribution, both in monetary form and, indirectly, in the delivery of municipal welfare services) to private income and to the parasitic circuits of financial capital. These processes have reached a very advanced stage, which must be acknowledged.In this respect, a significant part of recent social struggles can be defined as urban movements of resistance and alternative construction “from below” faced with these same processes. Think of the struggle for access to housing, the defence of welfare services, the development of mutual co-operation to counter impoverishment, gentrification and degradation of the urban environment, or indeed, mobilizations against large speculative infrastructure projects. In this respect, a significant part of recent social struggles can be defined as urban movements of resistance and alternative construction “from below” faced with these same processes. Think of the struggle for access to housing, the defence of welfare services, the development of mutual co-operation to counter impoverishment, gentrification and degradation of the urban environment, or indeed, mobilizations against large speculative infrastructure projects. As in the case of other “citizens platforms”, Barcelona en Comù was able to politicize and enhance this heritage of struggles and experiences, combining the contributions and organizing the confluence of social movements and civic initiatives with that of “old and new” political forces, such as Podemos and Procés Constituent, the ecologists of ICV and Equo, the communists of Esquerra Unida i Alternativa (EUiA), and part of the Catalan left-independence advocates. In this sense, a social coalition became a political coalition [Candeias, 2015 and Russo Spena-Forti, 2016]. With great generosity, with the mutual willingness to listen and in a permanent search for unity. With the explicit aim of winning a social majority and transforming it into an electoral majority, in order to take the government of the city and turn it into an effective lever of change. 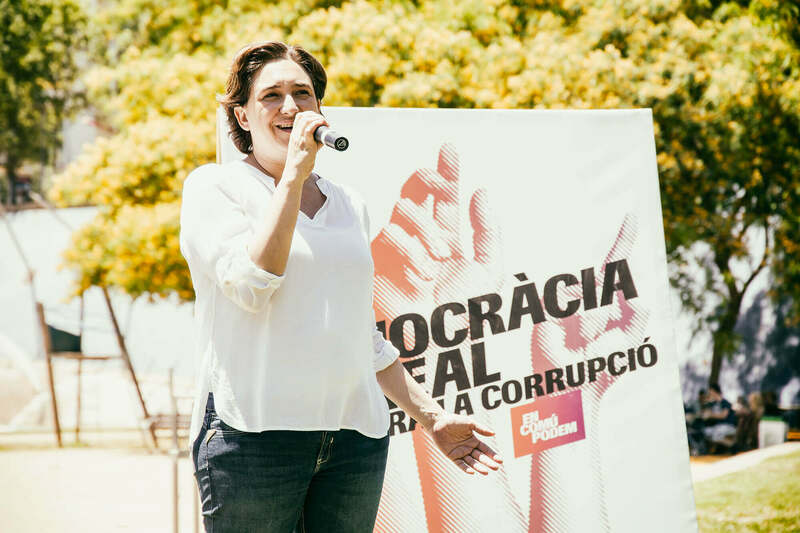 With a candidate such as Alcaldessa, who managed to synthesize all these points. On the other hand, we can look to the current concept of “new municipalism” from the perspective of various long term genealogies that are by no means far-fetched. Think of the pages that Hannah Arendt  dedicated to the ancient Greek poleis, sometimes idealized as a paradigmatic model. Or think of the medieval towns, in Italy and beyond, that were recognized as a place of liberation from servile constraints, as is testified by a way of saying which is identical in all languages of the time: “the air of city makes you free”. And think of those cities’ double conflict, with the Empire and with feudal powers, of the story of the small “republics at the time of monarchies”, as a completely different model of sovereignty. 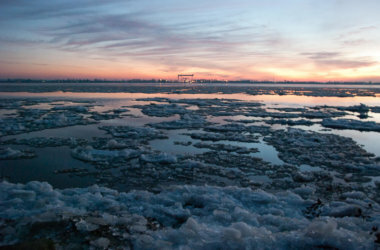 And think of the autonomous trading power developed in the network of Hanseatic cities. Closer to us in time, it is necessary to look at those forms of resistance to political centralization processes, as characteristic in the construction of the modern national State. Some of them were remnants of the Ancient Régime, but most were intertwined with the nascent labor movement, and its socialist and anarchist cultures. This was one of the themes of open controversy between Proudhon and Marx, although the latter later recognized that, in the experience of the 1871 Paris Commune, the multiplication of municipalities (“Communes”) in other towns and cities of France, and to their free federation, could have been a strategic move for the revolutionary process. But if, from the perspective of Barcelona en Comù, we stay within the borders of Spanish State, there is a strong and repressed tradition, which is linked to the thought of Francesc Pi i Margall , a Catalan philosopher and politician, and second president of the First Republic. Mergall theorized, with visionary anticipation, a federalism founded not only on the decentralization of administrative powers, but on “municipal pacts”, mutual and bilateral agreements, that included a social organization extending beyond the local authority and the private property system [Observatorio Metropolitano, 2014]. The 1990s saw a resurgence of “municipalist” discourse on various sides. Just think of the “communalist” proposal by Murray Bookchin. “The immediate agenda of libertarian municipalism is to re-open the public sphere in opposition to any statalism, to allow the maximum of democracy in the literal sense, to create institutions which, in embryonic form, can give power to the people,” he writes in 1987. His starting point is that there can be no politics without community. And his concept of community foreshadows a free association of citizens on the municipal base, reinforced in their own autonomous economic capacity by grassroot organizations and by the support of other confederations, organized into regional networks. The Zapatista insurrection of January 1994 was later credited for boosting the idea of “self-governance of communities,” providing arguments that – in the cycle of “global justice” movement – have supported both the local participatory processes peculiar to Latin America, and “counter-imperial” networks such as the Local authorities Forum. 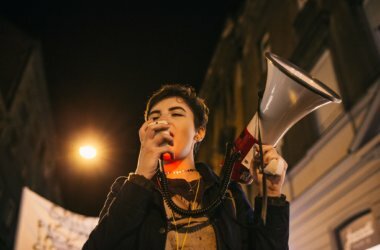 There is a first lesson we should learn from this stratification of historical experiences and heretical political cultures: it is impossible to foreshadow a “new municipalist” horizon without a comprehensive federalist approach that is characterized in turn by strong material, social and egalitarian content. We might hazard to say: a class point of view is needed. With a bit of a pun we might draw a line linking the Commune (in the double meaning of original local institution and historical instance of revolutionary rupture) and the concept of “common.” In the rich and recently revived debate on the commons, the contribution of authors such as Hardt and Negri  among others brought a definition which overrules any misunderstanding in terms of naturalistic and organicist approach: common is the collective and multitudinous production of material and immaterial reality, that precedes its appropriation by private or public (i.e. State). Here the very notion of democracy has to be challenged, theoretically and practically. Indulging in a rather brutal synthesis, democracy today can only be considered as collective political decision, taken by the many, on what is common. In this sense, “new municipalism” necessarily implies an attempt to radically re-invent democracy’s meaning and practice. In the language of Barcelona en Comù this attempt would be called “citizens protagonism”. But that of “citizenship” is a slippery slope and should be undertaken with great caution. In our towns, citizenship is often used as a vector of differential exclusion from precisely the sphere of rights that are associated with it. Ada Colau sent an explicit message when she had Barcelona take clear sides on the issue of refugees, proposing a network of “shelter cities” engaged in the field of welcome and social inclusion policies, openly defying the closed-door choices taken by national governments and European institutions. Here is an extensive and inclusive idea of citizenship, because to decide that all residents in our cities, disregarding their origin and their status, can enjoy equal rights and duties is currently disruptive. 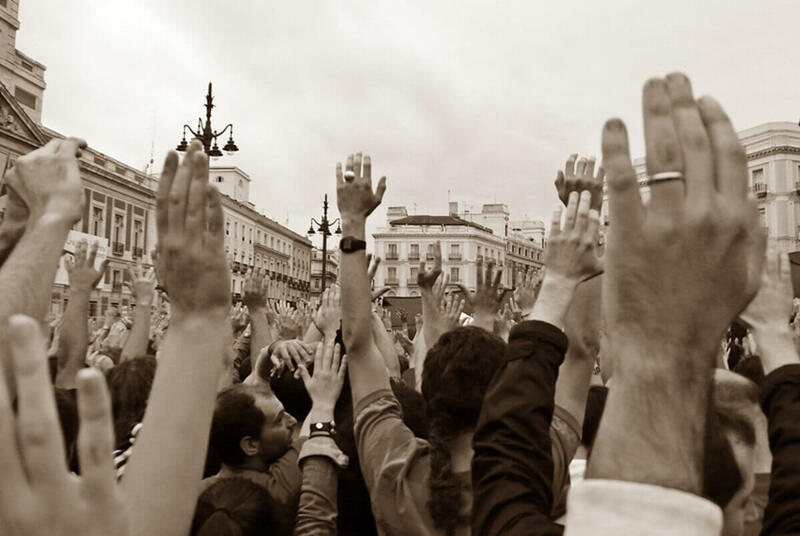 Iberian citizen platforms, and their current experiences in government, inspire a Europe-wide re-thinking, that can no longer be postponed in social and political emancipatory practices of the left at a local level. To talk of a “model”, nonetheless, would be incorrect. Barcelona is a one and extraordinary exemplum, in that it is subverting the order of assigned roles. It is an exemplum such as those exempla that enrich the pages of Spinoza’s Ethica. If we are ready to grasp the deep spirit of the new municipalist discourse, we shall easily see how the powerful imagined import of those experiences potentially turns any local context in a real “laboratory” growing out of its own specific social, political and institutional dynamics. “Winning elections is not the same as winning back the city” [Shea Baird, 2015]. Government and power are two distinct objects, and a renovated concept of the former may avoid the traps of aporetic representative logic in the new municipalist prospect. The crisis in political representation is serious, structural, and irreversible. There is no need to retrace here the historical reasons of why the link between delegation and the exercise of political obligation was definitively broken. What matters is the divorce between capitalism and democracy, which is most evident. 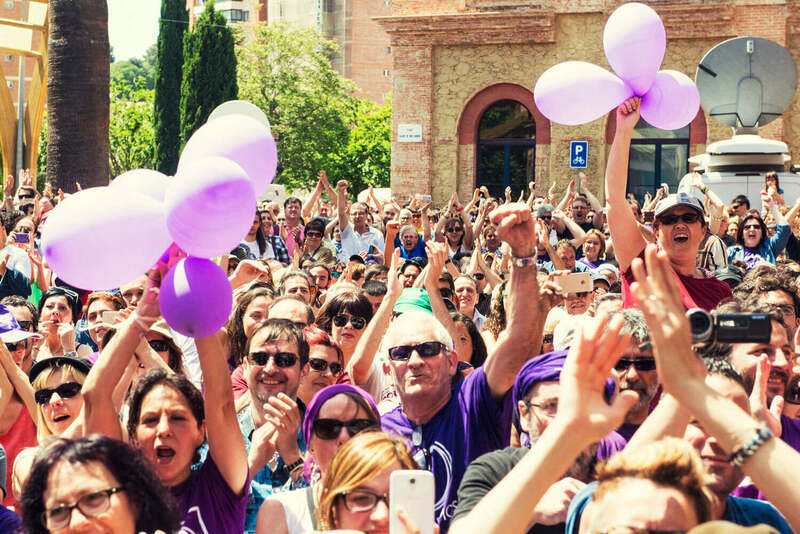 Citizen platforms such as Barcelona en Comù were able to win local elections in Spain by bringing forth a powerful message, and that was the plea for a consensus that would not “be representative of the struggles” (i.e. a right of tribune “on behalf” of social movements), but would rather govern the city, producing real change. This is only possible if a permanent dialectic is kept open between conflictual and propositive social dynamics on one hand, and creatively receptive institutional structures on the other. In a way that combines the push from below of “new institutions”, with a profound transformation capable of being invested in the same “constituted institutions”. Such a process is destined to clash with the internal and external limitations of even the most subjectively radical and innovative local experience. And this is where the issue of power arises: in the midst of the thick web of real economic and social, media and political power relations innervating the life of metropolis. Nor must we forget the legal and institutional, the financial and economic constraints that influence every choice in city government: from the national to the global, passing through the bonds imposed by the executive role of the Member states in the framework of European governance. In cities the devolution of top-down sovereignty, from institutions to citizens, is a necessary prerequisite to regain spaces of democratic sovereignty upwards, towards higher powers. And this is the only way to avoid a rapid shift from enthusiasm to disillusionment, from euphoria to depression. This article was first published in German for the LuXembourg Zeitschrift and then in Italian in EuroNomade website as an anticipation of a wider forthcoming study. We thank Rosa-Luxemburg-Stiftung for having allowed publication in PoliticalCritique.org . Kate Shea Baird, “Rebel cities: the citizens platform in power”, http://www.redpepper.org.uk/rebel-cities-the-citizen-platforms-in-power/, in Red Pepper, December 2015. He graduated in Philosophy (University of Padua), Ph.D. in European and Euro-American Political Studies (University of Turin), scholar in History of Political Thought, works for several international research institutions; from 1997 to 2014 was councillor and from 2001 to 2005 deputy mayor for Social affairs in the City of Venice; member of political-cultural Association “in comune” (Venice); is active in Italian and European social movements and participates in EuroNomade independent research network.